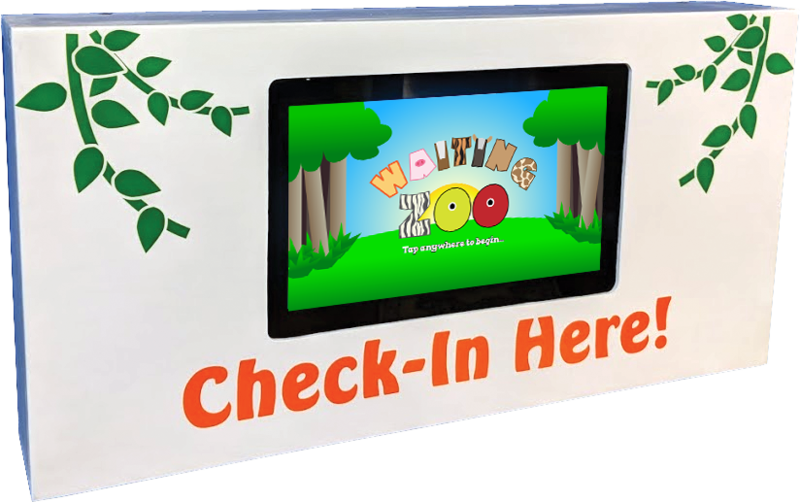 Waiting Zoo is a one-of-a-kind, fully customizable, fun (emphasis on fun) check-in system for your patients. Let your patients check-in with our fun, secure and fully functional check-in system. 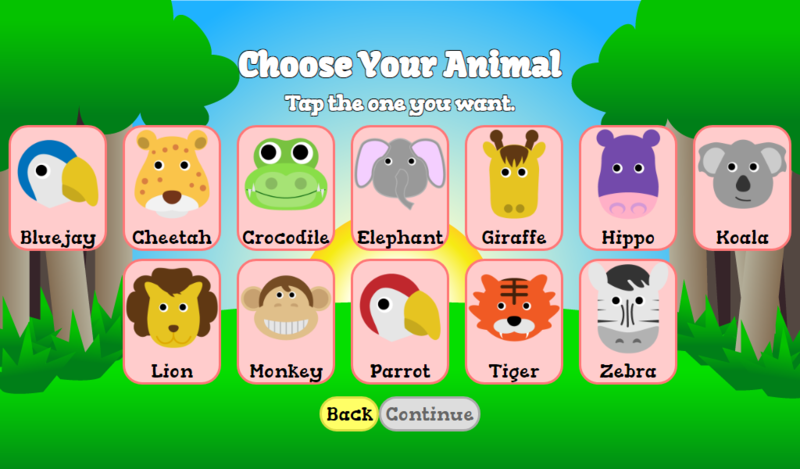 Your patients will check in on a touch screen, choose an animal or a sport, and have a seat! Helping someone is as simple as calling out their chosen animal or sport. "At a glance" patient tracking! Check-in information is sent to a computer, smartphone, back monitor or any other web enabled device. 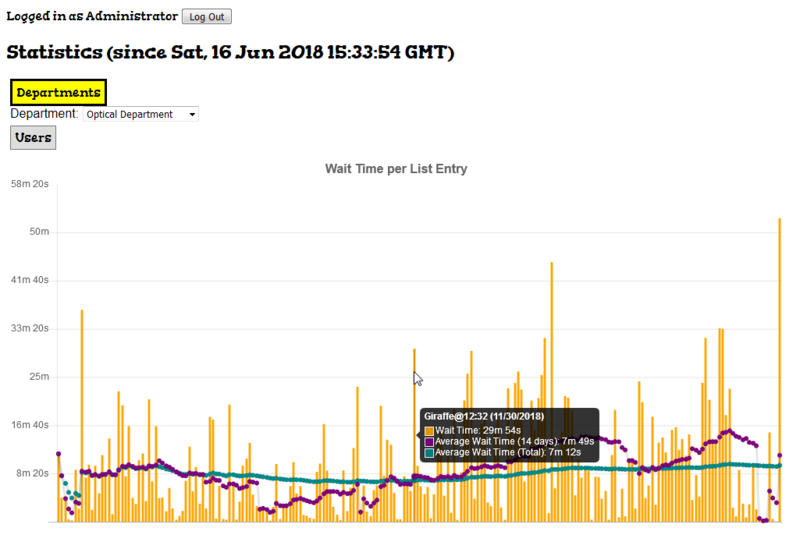 Check on performance with statistics! 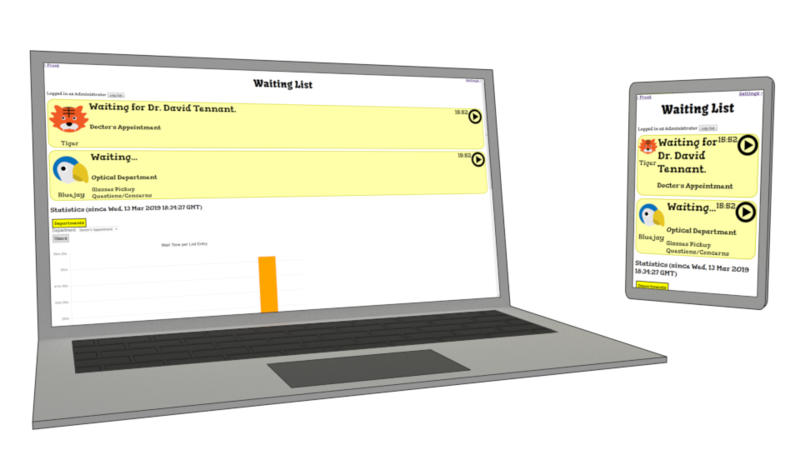 Our system keeps track of wait time and processing time on a per-patient basis. Highly customizable for your needs! 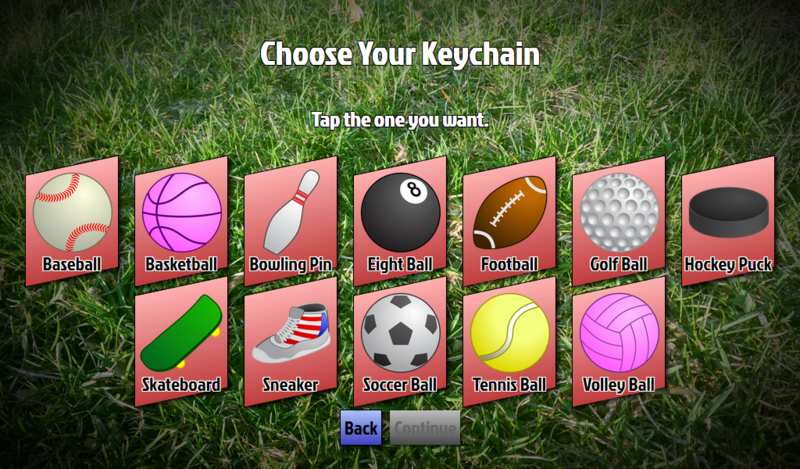 We currently have 3 themes to choose from, and more on the way! 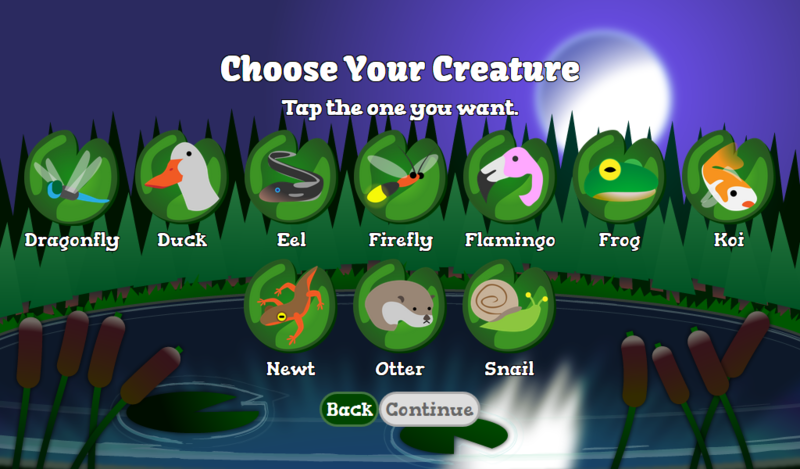 Choose between the normal Waiting Zoo theme, our sport themed "Waiting Game" and the relaxing "Waiting Pond". If none of these are to your liking, we can work with you to create a custom theme for your needs.